If it indeed comes to pass, it certainly couldn't happen to a nicer company. Being the shady, broken-car-making, moral-free murder factory that they are, GM turned to U.S. Bankruptcy Judge Robert Gerber to expedite a ruling as to whether or not legal claims against them are valid. GM argues that they are exempt from any liability for incidences of vehicle failure that occurred prior to their June 10, 2009 emergence from bankruptcy. Detroit News reports that U.S. Senators Richard Blumenthal (D-Conn.) and Lindsey Graham (R-S.C.) introduced a bipartisan bill on Tuesday that requires federal judges to consider public health and safety in product liability cases before allowing a party’s request to seal court records. 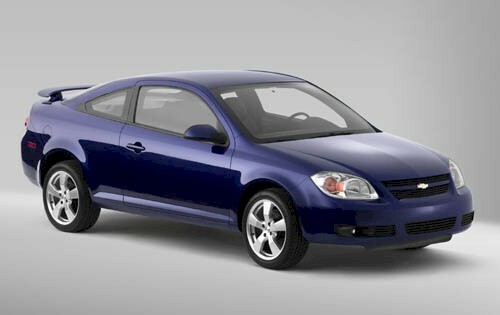 The senators argue that sealed settlements from 2005 liability lawsuits involving vehicles with faulty ignition switches prevented the public from learning about problems with vehicles such as the Chevy Cobalt and Saturn ION. “This legislation would have enabled people to be aware of the threats to safety posed by the faulty ignition switches and deaths could have been prevented,” Blumenthal said in a statement. In the end, GM is unlikely to pay out $10 billion to customers with the probability of some cases (unjustly) being thrown out and others being settled out of course for less. While we’re in the mood to take GM to task, can the American public file a class action lawsuit demanding a refund on the $11.2 billion it took to pull them out of bankruptcy?